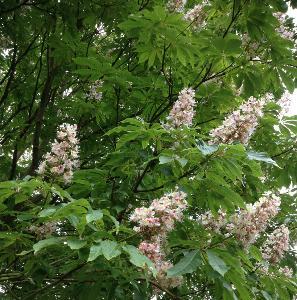 Although quite similar at first glance, Aesculus indica is usually a slightly smaller tree than the common horse chestnut (A. hippocastanum), and differs in having smooth, flaky, grey-green (rather than red-brown) bark. It also flowers later, its pinkish-white flowers appearing in strikingly beautiful spikes in July, making it a really handsome tree for a medium to large garden (it can grow to 20–30 m tall, so is not suitable for a small space). 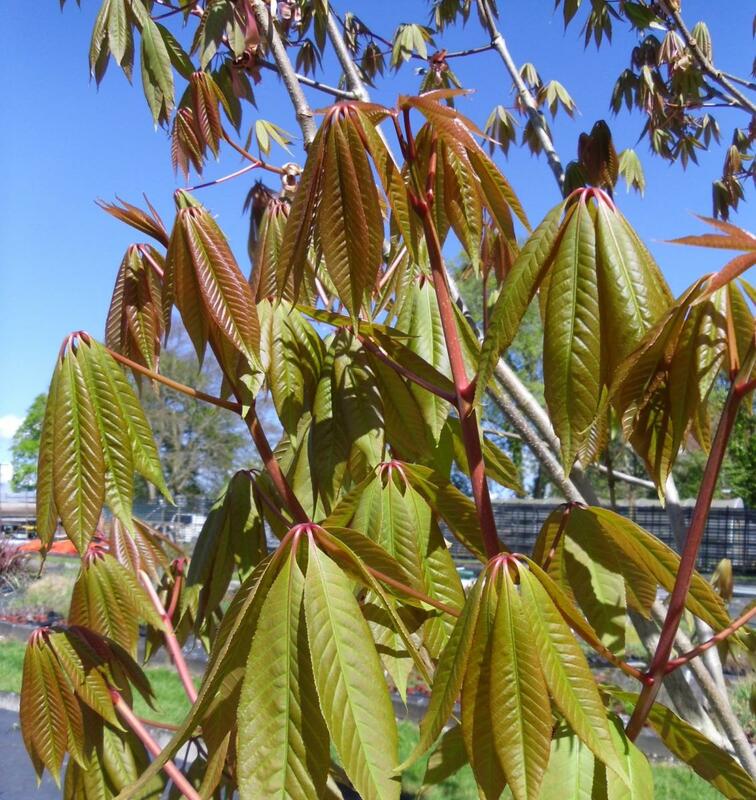 The tree is also very attractive as the first shoots appearing are orange/red in tone. 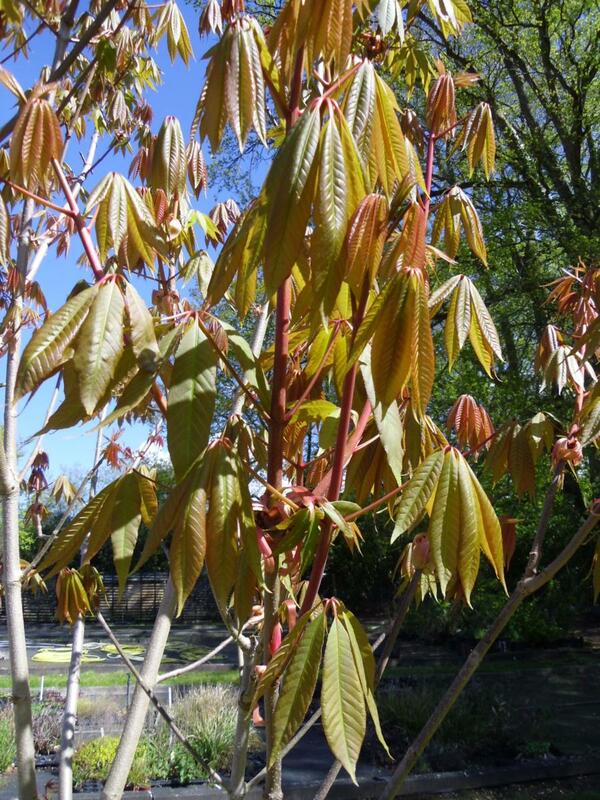 The later foliage is less prone to the leaf disease which affects the common species.